It is no secret that consuming a significant amount of alcohol leads to headaches and nausea. Alcohol stays in your blood stream for many hours and significantly reduces the level of oxygen in the bloodstream. It takes 3 molecules of Oxygen to metabolize 1 molecule of Alcohol. Boost Oxygen will greatly reduce the after-effects of alcohol. Try Boost Oxygen Natural, for a highly effective and fast-acting hangover remedy. Start your evening with two-to-three inhalations and follow these up with three-to-five inhalations the morning after. 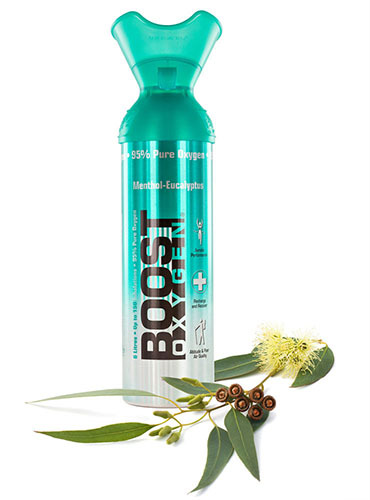 The Boost Oxygen Eucalyptus works well to rejuvenate the body and mind and relieve mental fatigue. Flush out the alcohol by drinking plenty of purified water. Repeat every 15 minutes until the symptoms subside.